Baker Construction previously cleared the solid rock ground for this project just north of the Arc Of Spokane store on Ruby. Now Baker, the general contractor, is set to begin building the large-scale student housing project at 940 N. Ruby Street. The project will provide housing for more than 213 students attending Gonzaga University and other universities in the area who are seeking the convenience of next-to-campus living. Construction will be completed in July of 2016 and the building will be ready for occupancy in the fall of 2016, just in time for fall term. The project owners, Larry Simon and David Schneider have formed 940 N. Ruby, LLC to develop the project. The architect is Jay S. Crawford, AIA, a California-based firm, and the contractor is Baker Construction of Spokane. Umpqua Bank is the lender. The property manager is Black Realty Management, Inc. The groundbreaking ceremony will be held tomorrow, at 9 am and will celebrate the construction of the much needed student housing for this area. In attendance will be owners Larry Simon and David Schneider, a representative of Baker Construction, and Kim Sample of Black Realty Management. Located along the west edge of the Gonzaga University campus, the six-story building will provide 61 apartment suites comprised of 3- and 4-bedroom layouts for a total of 213 rooms available to rent, totaling 79,455 square feet of livable space. The apartments are geared towards undergraduate and graduate students who seek the amenities and benefits a property of this caliber will offer. All units have an individual washer and dryer, stainless steel appliances, granite countertops, designer interiors, and upgraded finishes throughout. They even include a flat screen TV in each living room. The building boasts numerous additional amenities including underground parking, card-access entry, private study rooms, exercise rooms, a large student lounge/recreational room, and an open-air deck featuring an outside lounge and BBQ area. The secret to Barrister's smooth wines revealed! Award winning Barrister Winery reveals a tiny secret as to one reason why their wines are so outstanding, and it has to do with the trains that pass overhead the winery each day. Their tasting room at 1213 W Railroad Ave, has 25,000 square feet of space with the tasting room and event area on the main floor and wine barrels on the lower level. With the wine barrels below ground, each time a train passes overhead, those trains cause the barrels below to gently shake, which helps settle solids in the wine and contributes to its softness. Wineries use a system called 'racking' or 'filtering' which is a method of moving wine from one barrel to another using gravity instead of a pump, which introduces a small bit of oxygen to young red wines. This 'racking' process is repeated several times during the aging of wine. During this process of moving wine from one barrel to another, sediments are left behind that fall to the bottom of the barrels. This process softens tannins in the wine. Because of the continuous train traffic above Barrister's building, the vibrations from the trains helps with this process. So next time you're visiting Barrister's tasting room and a train passes overhead, you'll smile, knowing that train is helping develop the great character of Barrister's wines. 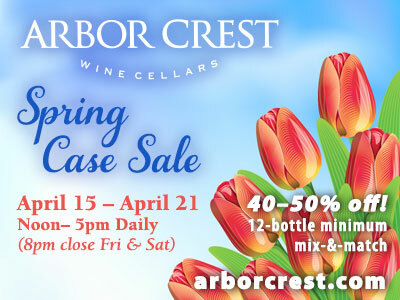 To find out more about Barrister Winery, visit their website at www.barristerwinery.com. Fianna Dickson has joined Inland Northwest Health Services (INHS) as senior marketing and communication specialist. Fianna has 10 years of health care experience, most recently with Confluence Health in Wenatchee, Washington. For seven years, Fianna was director of public relations for the Hope Heart Institute in Seattle, a non-profit organization focused on research and education for cardiovascular disease. With 15 years as an adjunct professor, Fianna teaches university communication courses and specializes in coaching presentation skills. Fianna holds a master's degree in communication from Eastern Washington University and a bachelor's in public relations from Gonzaga University. The Kalispel Tribe of Indians has pledged $500,000 in support of the Cardiac Intensive Care Unit expansion and modernization project currently underway at Providence Sacred Heart Medical Center. The gift will be matched by Providence Health Care Foundation. The foundation will raise $2 million - 10 percent of the cost of the project, with the balance paid for through capital budget. The first phase of the project will be completed in May, with the entire project is scheduled for completion in April 2016. Women Helping Women Fund will host its 23rd annual luncheon on Monday, May 18 at the Spokane Convention Center. This year's featured speaker is kidnap survivor, author, and humanitarian, Amanda Lindhout. As Founder and Executive Director of The Global Enrichment Foundation (GEF), Lindhout has gained international acclaim for her work supporting development and aid in Somalia - the country where she once spent 460 days as a hostage. Her award-winning humanitarian work has provided aid and education to over 300,000 people living in the war-torn country. Lindhout's story of survival in the face of lost hope illustrates the remarkable strength of the human spirit. Her memoir, 'A House In The Sky,' is a New York Times bestseller and is slated for development as a major motion picture with Annapurna Pictures. Oscar nominated actress Rooney Mara is set to produce and star in the film. WHWF is a non-profit organization dedicated to empowering women and children to create healthy families and vibrant communities. To register for the luncheon, visit www.whwfspokane.org or call 509-328-8285. The 2nd annual KHQ/Work Source Job Fair, presented by the Spokane Area Workforce Development Council will be held on May 21. From entry level to professional, manufacturing to healthcare, transportation to finance, employers from Spokane's many industries will be available to tell you what it takes to compete for their open positions. Come and connect with your future employer. This takes place on Thursday, May 21 from 10am to 2pm at the Spokane Convention Center. Free admission for job seekers. Learn how to earn free parking by visiting: www.workspokane.org. Employer registration starts April 15th at www.wdcspokane.com/events or sign up for newsletters for upcoming details at www.wdcspokane.com/news. This Saturday and Sunday, May 9 and 10, celebrate this Mother's Day weekend at the 26th annual Mother's Day Tour of historic homes. This year's featured homes are on Manito Boulevard. There will be flowers for Moms, house and carriage rides and you'll learn the history of this beautiful neighborhood. Tour begins at 12 noon both days. Cost is $20. Tickets available by calling 509-456- 3931 or at the Museum Admissions Desk in advance, and day of event, tickets are available along Manito Boulevard. You can also purchase tickets online at YourMacSpokane.com. Brochures and tickets purchased online will be available at Will-Call on the day of the event or in advance at the museum's Visitor Services desk. MOD Pizza the Seattle based chain of fast prepared artisan pizza is open in the Regal Plaza shopping center at 3104 S. Regal. MOD Pizza serves individual artisan-style pizzas and salads made on demand. Customers can design their own pizzas and salads or select from a menu of MOD classics. All are the same price regardless of toppings. The handcrafted pizzas are then fired in 800 degree display oven and ready to eat in less than 5 minutes. MOD also offers milkshakes, house-made iced teas and lemonades, locally sourced draft beer and wine. MOD Pizza is also opening in Coeur d'Alene in July just off Ramsey Road near Winco Foods. Mobius Science Center plans is signing for space in the Post Street Annex building, located south of the historic Washington Water Power Building, that's known as the Post Street substation, and north of Spokane City Hall. The museum currently is located in temporary quarters in the Downtown Spokane Library. Every month The Spokesman-Review's advertising department emails a newsletter called Monthly Ad Tips, which gives useful advertising information, on a variety of print and digital advertising topics. To get your emailed copy contact Kathleen Coleman at kathleenc@spokesman.com. The American Cancer Society has hired Meg Demand as the Development Manager of the Distinguished Events team. Demand will head the Coaches vs. Cancer brand, comprised of eastern Washington and northern Idaho to include the major fundraising events, activities with colleges and high schools Coaches vs Cancer games, and Suits and Sneakers corporate activities. To discover career opportunities available within the American Cancer Society, or to learn more about local events, programs or services throughout Spokane and the surrounding community, visit cancer.org. RLHC (Red Lion Hotels Corporation) announced today the company will add a new location in Bakersfield, California, after signing a franchise license agreement with the owner of a hotel there. RLHC has signed 10 franchise license agreements in 2015, contributing to the company's goal of 100 hotels systemwide among its core brands in 100 weeks. Scheduled to convert in June, the future Red Lion Hotel - Bakersfield is located at 2620 Buck Owens Blvd. The hotel has 198 guest rooms, a restaurant and lounge, and 4,000 square feet of meeting space, in addition to a fitness center, outdoor pool and spa, business center and Wi-Fi. The owners are investing in updating the lobby of the hotel, all new bedding for the guest rooms and expanding and renovating the fitness center. The meeting space was recently renovated in 2014. 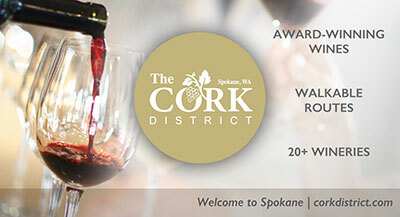 The Spark Awards, presented by the Spokane Regional Marketing and Communications Association (Spokane MarCom) on April 22, recognized the best work by local marketing, communications and public relations professionals. Local professionals submitted more than 60 entries ranging from individual projects showcasing video, print, and online expertise to full internal and external communications campaigns. The award entries were judged by local professionals in the marketing and communications field that did not submit entries for this year's awards. The top entries out of all submissions received Brightest Spark Awards. Desautel Hege, in partnership with CU Direct and WebMistress, was awarded the Blaze Award for their '20 for 20 Giveback Campaign,' which reflected the highest score of all entries in 2015. Avista, along with Klundt Hosmer, Desautel Hege, and Hanna & Associates claimed the coveted Dussalt Community Impact Award, awarded at the discretion of the judges for a campaign/program that demonstrated clear impact within the Spokane community. One judge noted that, "...the strategy focused on connecting the history of the region with the company's legacy. The idea of creating a beautiful new community gathering space in Huntington Park as a symbol of the company's connection to and appreciation for the region and its people goes beyond simply trying to elevate the brand and succeeds in elevating and celebrating the entire community." Four Eastern Washington and Northern Idaho business and civic leaders will be honored for their accomplishments in shaping our economy and impacting our local communities as Junior Achievement will be inducting the four new laureates into the Business Hall of Fame on Wednesday, May 13, 2015. This is a premier business event when individuals whose business innovations and civic involvement are recognized. Elizabeth A. 'Betsy' Cowles, Chairman of Cowles Co.
Douglas V. 'Doug' Hawkins, Founder and Chairman of the Board for Litehouse Foods, Sandpoint, ID. Edward W. Hawkins, Jr., lifelong veteran of Litehouse Foods and served as CEO from 1989 to 2011. Clarence H. 'Bud' Barnes, Professor of Economics and Dean Emeritus, Gonzaga University. The Junior Achievement will honor this year's Laureates at a gala on May 13 at the Davenport Hotel, Grand Pennington Ballroom. The silent auction and VIP Laureate reception begins at 5:15 pm, dinner and ceremony at 6:30 pm. Tickets are $150 for individuals, $1500 for tables of 8. For more information & reservations, call the Junior Achievement office, 509-624-7114. Pacific Cataract and Laser Institute, a Chehalis, Washington-based eye care business, has purchased a nearly 2-acre property at 16818 E. Desmet Court, near Providence Medical Park Spokane Valley that opened a year ago. The business, now in Spokane at 534 E. Spokane Falls Blvd., plans to build on the vacant land but doesn't have a set date, said Marlin Gimbel, director of professional relations. Terms of the sale were not disclosed. Founded in 1985, Pacific Cataract has offices in six Western states. Timber, the new gastropub in the former Hot Rod Cafe location in Post Falls opens May 11. We previously had reported they were already open.